With a Pay As You Go bundle, you convert your credit into a one-month allowance of calls, texts and mobile data. We compare the UK’s best value Pay As You Go bundles. In the UK, we’re spoilt for choice when it comes to Pay As You Go deals. With more than 70 Pay As You Go bundles across 12 different mobile networks, the strongest Pay As You Go deals can now rival those found on a Pay Monthly contract. To get the best value from your Pay As You Go tariff, you’ll normally need to convert your credit into a 30-day bundle. Buying a bundle is a little bit like paying for your airtime in bulk. Rather than paying on a per-minute, per-text and per-megabyte basis, you just buy a 30-day bundle which covers all of your usage. If you’re a regular mobile user, this should save you money compared to traditional Pay As You Go. You’ll also retain full control over how much you spend, with no need to sign any contracts or to undergo a credit check. In the UK, there’s a wide range of Pay As You Go bundles available to choose from. In this article, we’ll compare the best value Pay As You Go bundles currently available on the market. 1 PAYG Bundles: How Do They Work? PAYG Bundles: How Do They Work? Best for regular mobile users and smartphone users. Best for light users who don’t have a smartphone. Get a 30-day bundle with calls, texts & mobile data included. Pay a fixed amount which is known in advance. Pay on a per-minute, per-text and per-megabyte basis. Rates are typically higher compared to a bundle. Unused allowances expire after 30 days, after which you’ll need to buy another bundle. Your credit doesn’t expire providing you keep the SIM card active. No credit check & no contracts to sign. No credit check & no contracts to sign. Through the rest of this article, we’ll be comparing the best value Pay As You Go bundles. If you’re a light user instead wanting traditional Pay As You Go, please see our comparison of traditional Pay As You Go price plans. In the UK, Pay As You Go bundles have been available since 2010. Having originally launched in response to growing smartphone adoption, bundles combine some of the benefits of Pay Monthly (including low costs and certainty over how much you’ll spend) with the benefits of traditional Pay As You Go (including lots of flexibility, no credit checks and no contracts). With a bundle, the key difference is you’ll be using your Pay As You Go credit to buy mobile airtime in bulk. Rather than paying for usage on a per-minute, per-text and per-megabyte basis, you’ll instead buy a 30-day bundle to cover all of your usage. The advantage of buying a bundle is you’ll get much lower rates and certainty over how much you’ll spend every month. For instance, a £10 top-up can buy you a 30-day bundle with minutes, texts and up to 6GB of data. On traditional Pay As You Go, this would only get you up to 1GB of data. For light users who don’t have a smartphone, traditional Pay As You Go tariffs are still available and can be a better value option. On traditional Pay As You Go, your credit normally won’t expire providing your SIM card remains active. £10 top-up buys: 600 minutes, unlimited texts and 6GB internet. Uses the EE network. 99% coverage, 3G & 4G internet, check coverage here. Keep your current number. It’s easy to transfer your phone number to ASDA Mobile. ASDA Mobile is our recommended network if you’re looking for a good value Pay As You Go bundle. Until the 23rd May 2019, customers signing up for ASDA Mobile’s £10 bundle can get 600 minutes, unlimited texts and 6GB of data. To qualify for the double data allowance, you’ll need to set-up a recurring top-up and bundle. ASDA also has a range of other bundles for light or heavy users. For instance, until the 23rd May, you can get 2GB of data for £7/month or 8GB of data for £12/month. ASDA Mobile offers 99% population coverage on EE’s 2G, 3G and 4G network. £10/month bundle: Unlimited minutes, unlimited texts and 3GB internet. Uses the O2 network. 99% coverage, 3G & 4G internet, check coverage here. Keep your current number. It’s easy to transfer your phone number to giffgaff. giffgaff is another highly popular Pay As You Go mobile network. They offer 3G and 4G coverage from the O2 network. The most popular bundle on giffgaff is the £10/month goodybag which gives you unlimited minutes, unlimited texts and 3GB of data (this is increased to 4GB per month once you’ve been a customer of giffgaff for 3 months). For heavy smartphone users, giffgaff has a competitive range of bundles with more data (e.g. 4GB of data for £12/month, 8GB of data for £15/month, and 20GB of data for £20/month). On all of these bundles, you’ll get an extra 1GB added to your allowance once you’ve been a customer for 3 months. For customers with even heavier data usage, giffgaff has a £25 goodybag with Always-On data (unlimited downloads with 4G speeds on the first 20GB per month). For more information, please read our in-depth reviews of ASDA Mobile and giffgaff. Through the rest of this article, we’ll be comparing Pay As You Go bundles at a range of price points from £5 up to £25 per month and more. In the tables below, you can tap on a mobile network’s logo to see information about which coverage provider they’re using (i.e. whether they’re piggybacking on coverage from EE, O2, Three or Vodafone). You can also tap on the data allowance for information about download speeds and tethering. 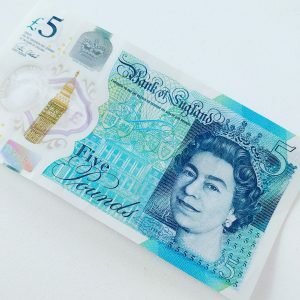 In the UK, the cheapest Pay As You Go bundles start from £5/month. ASDA Mobile uses coverage from EE (read our review). giffgaff uses coverage from O2 (read our review). iD Mobile uses coverage from Three (read our review). Lycamobile uses coverage from O2 (read our review). Tesco Mobile uses coverage from O2 (read our review). A range of deals are available for £10/month. At the £10/month price point, there are 12 mobile networks offering a Pay As You Go bundle. Until the 23rd May 2019, customers signing up for ASDA Mobile can get double data on their 30-day bundles. For £10/month, this means you can get 600 minutes, unlimited texts and 6GB of data. The coverage on ASDA Mobile is provided by EE. As an alternative, giffgaff offers the £10/month goodybag with unlimited minutes, unlimited texts and 3GB of internet. giffgaff offers coverage from the O2 network. For customers wanting to call abroad to other countries, Lebara Mobile’s £10 bundle comes with 100 international minutes to one of 41 selected countries. For £15 per month, we’d currently recommend ASDA Mobile’s £15 bundle. This comes with 1000 minutes, unlimited texts and 12GB of data, when you opt-in to the double data offer until the 23rd May. Alternatively, giffgaff’s £15 goodybag offers unlimited minutes, unlimited texts and 8GB of internet (upgraded to 9GB per month once you’ve been a customer for 3 months). On giffgaff, you’ll get 2G, 3G and 4G coverage from O2. For £20 per month, giffgaff offers the £20 goodybag with unlimited minutes, unlimited texts and 20GB of data. As an alternative, Three offers a £20 bundle with 12GB of data. A benefit of choosing the bundle from Three is you’ll get access to the Go Roam Around The World offer. This allows you to use your inclusive data allowance abroad in 71 destinations including most of Europe, the USA and Australia. For £25 per month, giffgaff offers the £25 goodybag with Always-On data. This gives you unlimited downloads with the first 20GB per month at full 4G speeds. After the first 20GB per month, your download speeds will reduce to a maximum of 384kbps between 8am and midnight. You’ll also get unlimited calls and unlimited texts included within the £25 goodybag. The price of bundles and their inclusive allowances can sometimes change without prior warning. If you’ve noticed a mistake in the tables above, please contact us by leaving a comment below. You can also send me an e-mail and I’ll endeavour to update the information here as quickly as possible. Sources for tariff information: tescomobile.com, tescomobile.com, freesim.vodafone.co.uk, mobile.asda.com, mobile.cmlink.com, mobile.lebara.com, shop.ee.co.uk, shop.ee.co.uk, giffgaff.com, idmobile.co.uk, lycamobile.co.uk, o2.co.uk, tescomobile.com, thephone.coop, three.co.uk, virginmedia.com. Last updated on 1st April 2019. For more information on the best Pay As You Go deals, see our guide to free Pay As You Go SIM card offers. You may also find it useful to read our guide on mobile coverage and transferring your phone number from one mobile network to another. We'd love to hear your thoughts and any questions you may have. So far, we've received 151 comments from readers. You can add your own comment here. Hi, heading over to the UK in May. What is the best deal for data, also with good coverage for Scotland. Heading to the islands and travelling the north coast 500. Will be in the UK for 6 weeks. I’d normally recommend a SIM card from giffgaff for this purpose – you can read a bit more background here on the reasons for this. In terms of the coverage in Scotland, this should be fine on giffgaff/O2. However, if there are certain places in Scotland where you know you’ll be spending a lot of time, you could also compare this against the coverage on EE and Vodafone. I live in the Highlands and find O2 is good for most of the Highlands and it worked ok across on Harris, Lewis and on Mull. Works for the NC500, at least the parts I regularly visit which is most of it. Always will be blind spots where mountains get in the way and up some glens with minor roads, but that is the Highlands and long may it continue. Vodaphone is good too I believe and used to be the one of choice for mountain rescue teams in remote areas though I believe they may have switched. As to the best deal – no idea; I use pay as you go. Thanks Ken. I spoke to a friend who has just come over from Scotland and she said that Giffgaff coverage won’t work for where I’m going, and I need to look at Vodafone or O2. Thanks again for your fast response. Giffgaff actually use coverage from the O2 network – they’re actually a low-cost sub brand of O2 with the exact same coverage! Just spoke to a friend who has not long come out and that’s what she said. I notice that you make no mention of 1p Mobile, an MVNO providing service over the EE network. They offer a base cost of £10 every 4 months which for light users amounts to £2.50/month with all uses lumped together and no expiry of data allowance. I have been using them for about a year now and they provide a really good service. Many thanks for your comment. You’re right: I think 1pMobile offer a fantastic service for customers who want all of the extra flexibility! I haven’t included them on this page as they don’t require you to buy a 30 day bundle – instead, they’re more of a traditional Pay As You Go provider where you pay per-minute, per-text and per-megabyte. I’ve also reviewed 1pMobile in more detail here in case you have any additional feedback to add on the service! Ken, thanks for this great analysis. Is there any issue with a SIM card working with a US phone? Will be in UK for about 10 days in March and the giffgaff £7.50 or £10 pack sounds perfect, but not sure the SIM will fit my existing Motorola G5s Plus device. Do you know? This should work in an unlocked US mobile phone, providing you have a GSM handset (typically used by AT&T or T-Mobile USA). A CDMA-based handset (e.g. from Sprint or Verizon) will not work in the UK. With regards to the size of the SIM card, I believe the Moto G5S Plus uses a nano-sized SIM card. giffgaff will provide you with a 3-in-1 triple SIM so you can simply snap out the nano SIM from the centre of it. I’m in Oz coming over for a months holiday end of January 2019. Where can I quickly get a cheap loaded sim card from for about 5 pounds that will enable me to make local uk calls pretty much straight away? We have them in supermarkets everywhere here like Aldi. Is that the same there? Thanks for your comment and a Happy New Year! You can get a SIM card at most UK supermarkets, newsagents and phone shops. Alternatively, you could also order a SIM card in advance from companies like giffgaff – see our guide here for visitors to the UK. GiffGaff unlimited caps speed after 20GB and it is very slow. “3” seems a better deal but is £10 more expensive, however truly unlimited data. Thanks a lot for the heads up about this. I’ve just updated the add-on details across the website. First of all thanks for the lots of work you’ve done here. I was using giffgaff for the past 3 months and I had to let them go for our best sake. I’m a big data user, i don’t have acces to wifi right now and i’m not consistently in uk. so, the last time when I used them I’ve got messages from them as I use to much data/day. well that’s way I payed the price. I never had 4g in London and the speed after those 20/25 Gb is quite far from thy’re promise. I will try on 3 this month and see how thy go for the price. Wow,Thank you for this comparison site, very informative and well ordered. the best site I have seen.10/10. Thanks for the feedback! I’ve spent quite a bit of time deliberating about how to include Smarty and Superdrug Mobile in our tables. Although they are technically pre-paid tariffs, there actually resemble Pay Monthly much more closely. One of the benefits of a Pay As You Go bundle is you actually get lots of additional flexibility (e.g. leaving a gap between your bundles, switching to standard Pay As You Go rates for a while, continuing to receive incoming calls when you don’t have a bundle, etc). On Smarty, you don’t really get any of this flexibility and need to have a bundle at all times. For this reason, I’ve treated them as a Pay Monthly provider (albeit, one that doesn’t have credit checks and requires you to pay upfront). I’m planning to go to the UK for 7 weeks. Is the PAYG Bundle there a contract or I can simply go & buy a deal from a shop without any contracts? The PAYG Bundle isn’t a contract, so there’s no commitment to continue using it every month. So you could use it for just 2 months, and then stop topping-up and renewing the bundle. Typically, giffgaff will be the easiest option if you’re from outside the UK, but you can equally also choose another network (but you may need to top-up in person at a shop rather than doing so online). For more information, you can also have a read of my guide for people who are visiting or moving to the UK. I found that three has WiFi calling on their PAYG tariff. Thanks for your comment! 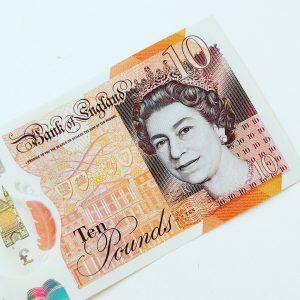 I agree that these can be good options for light mobile users – I’ve got a little more information on them in my guide to traditional Pay As You Go deals. For light usage, I’ve listed my recommendations here. I probably have a slight preference for ASDA Mobile over O2 or Three if you’re a very light user as they’ll allow you to top-up from just £1 each time, and they also have a more relaxed inactivity policy. However, I do agree that the 321 tariffs are a good choice if you’re somewhere in between a light and a regular mobile user. Do any of these recommended month-long plans include international texting? Thanks for your comment. I’m not aware of any mobile networks that include international texting, though a number like Lebara Mobile include some international calls. I suspect the reason for this is probably because most people have moved towards using over-the-top services like WhatsApp for texting. On Classic PAYG, data cost is 1p/MB. Apparently you can bolt-on a “snack” of 100MB data for £2 which would expire after 31 days. This would cost £1 on PAYG, half the price. And in the fine terms and conditions, on the “standard” tariff you get bumped onto in unspecified conditions, the cost is something like £3/MB, so it would cost £300. Can someone explain how O2’s bolt-ons and/or bundles interact with Classic PAYG? I tried live chat with O” but the “guru” wanted to know whether my SIM was plugged in properly and the phone was switched on. Many thanks for your comment. I think the bolt-ons were really designed for a different age, and I agree it doesn’t make sense for customers on Classic Pay As You Go. The bolt-on could potentially be useful if you’re on an older tariff with higher per-megabyte rates, or if you’re using something like Big Bundles which has a higher out-of-allowance rate. With regards to the Standard Pay As You Go tariff, I’m not aware of anyone who has been “bumped” onto this tariff – I had thought this was just a legacy plan and you’re probably OK just to ignore mention of it! I’m with three i top up £35 a month & that gets me 3000 texts 3000 calling minutes & all you can eat data. I think it’s a great way to save on money instead of topping up & your credit runs down, I grudge paying a tenner for the poxy data they give you. Is there any reason why Virgin are not in these examples? As far as I know, Virgin Mobile doesn’t offer any 30-day bundles on a Pay As You Go basis. They do, however, have free top-up rewards (e.g. 3000 texts & 1GB internet when you top-up by £10). Do let me know if I’m mistaken or I’ve missed something out! Virgin have JAM packs now. Thanks for the heads up about this! I’ve now added Virgin Mobile into the listing, and will also have a blog post soon about the new JAM Pack offering. Thanks for the feedback regarding terminology! I’d typically make the distinction between “traditional Pay As You Go” and what I’d call a “Pay As You Go bundle” (where you exchange your top-up for a 30-day allowance of minutes, texts and data. In my view, Pay As You Go bundles offer far less commitment than a contract & give you much more flexibility. For instance, you can stop purchasing bundles at any time. You can also delay your purchase e.g. if you’re going on holiday, or you could selectively choose to buy a bundle only when it makes sense for you. With Pay Monthly contracts, there is a genuine contractual agreement (including a commitment to renew on time every month, no flexibility to change your tariff, a minimum notice period, a credit check and Direct Debit payment). The best way to think about a Pay As You Go bundle is “buying airtime in bulk”. For most typical smartphone users, a bundle will offer lower prices than traditional Pay As You Go. Can this cheapest payG bundles work in Nigeria and if yes where can i get it. Unfortunately, the Pay As You Go bundles listed on this page are for use inside the UK! If you’re looking for a UK-based SIM card that allows you to call Nigeria, you can see my guide to international calling. Alternatively, if you’re looking for a Nigerian SIM card, you’ll be best off consulting a local website from Nigeria. I’ll also be coming from the US to study in the UK soon. I”m looking for a PAYG bundle, and I’m curious how many of these plans work in terms of calling to the US. Additionally, I need to have service while traveling to other parts of Europe- namely Ireland. Thanks so much! Happy New Year! If you’re new to the UK, I recommend having a read of the article here (it gives you a top-line intro). For someone who is new to the UK, I’d typically recommend getting a SIM card from giffgaff. All UK-based SIM cards should now allow you to roam across Europe at no extra charge. Costs for calling the US vary on a network-by-network basis – giffgaff is pretty good for this, but otherwise you can see a side-by-side comparison here. While inclusive deals do not usually include calls to international numbers from the UK, they do include calls to 03 numbers. This allows access to a variety of “dial-through” providers who offer international calls at no additional charge when you call their 03 number. Roaming in Europe at no extra charge apploes to UK citizens. Most UK phone providers take active measures to stop people from other countries buying a UK sim to use abroad. This includes asking for proof of UK residency before allowing “free” EU roaming. Many thanks for your comment! I’m surprised there are companies offering free international calling via a 03 access number. They’re obviously making very little money from the incoming call, so not sure how they fund the cost of the outgoing call (whereas with special-rate numbers, the income they get should easily cover the cost of the outgoing call). One other thing to add: UK mobile networks are only able to distinguish based on UK residency, as opposed to UK citizenship. In practice, however, you can easily pick up a UK SIM card as a non-resident visitor, and I don’t believe many mobile networks will routinely ask for proof of UK residence. Hi Ken, My daughter is leaving from the US to study abroad in the UK on January 1st and returning in June (so about 6 months). She will be traveling all over the EU and some other places during her breaks and needs a roaming feature. She is a heavy data user (at least 6GB+ per month). She has an unlocked iPhone 6 and looking for a PAYG SIM only deal. As you’ve stated there many PAYG plans and I currently have a case of information overload. Bottom line what would be the best company and plan for her to get? I don’t mind spending a couple extra pounds to ensure good coverage and her safety. Thank you in advance for your help. Many thanks for your comment and a Happy New Year! I’d probably recommend giffgaff as the best SIM card for her to get in the UK. She can get 6GB of data for £15/month (approx 20USD), 9GB of data for £18/month or Always-On data for £20/month. It’s pre-paid so there’s no need to be a UK resident, and they’re also the only network allowing easy online top-up from a non-UK credit card. They also have some low rates for calling back to the US. She can order a free SIM card to be dispatched to her UK address here, with more information here on the UK market and how it compares to the US. Have a T.Mobile/EE traditional pay as you go. Been given a new phone which requires a micro sim which my current phone doesn’t have. Will I be able to get a micro sim and keep my present account as I only need it for occasional calls and texts.? Many thanks for your comment. I believe it should still be possible to get a replacement Micro SIM on T-Mobile, though it’s likely they’ll offer you an upgrade to EE. If you do decide to upgrade to EE Pay As You Go, your credit should be moved over but your plan will not. Thank you for your answer Ken but have managed to resolve the problem. Pair of scissors and another sim card for a template and the job was done. I’m surprised you’ve not included Smarty in this PAYG update. Their three price points offer great value compared to many of the deals you’ve listed in your article. They use the 3 network so a 3G/4G handset is required and it’s important to note they don’t offer international calls or roaming as yet. 1) There’s no option to use it on traditional Pay As You Go without paying regular monthly subscription fees. On all other Pay As You Go networks, you can simply cancel the renewal of your bundle and use your handset at per-minute, per-text and per-megabyte rates. 2) Unless you pay a monthly fee for your service, you also won’t be able to receive incoming phone calls. This makes it much less flexible and more like a Pay Monthly SIM rather than a Pay As You Go SIM. You’re right in that it’s technically a pre-paid deal and as such there’s no need to get a credit check, etc. However, I think the reduced flexibility & obligation to pay monthly make it significantly different and less comparable to other Pay As You Go deals. Hi Ken. Im on the 02 £30 big bundle which gives me 20 gig of constant speed 4g data 3000 minutes and 4000 texts. Its my sole source of internet (no home broadband). They recently changed it to 20 gig, 500 mins and 500 texts which isn’t so attractive but kept me on the original bundle of 20 gig 3000 mins and 4000 texts. Can this be beaten? I don’t mean by the likes of giffgaff where speeds slow down after 6 gig. I mean bundles with constant speed throughout the data limit? Just curious as what i get for £30 per months covers everything i need and wondering who else can match or better this? Many thanks. Many thanks for your comment. This is a decent deal if you require tethering & 20GB of data (I don’t think it can really be beaten unless you maybe consider a Pay Monthly contract). Three has a slightly cheaper deal on Pay As You Go (20GB with 3000 minutes & 3000 texts for £25/month) but you’re unable to tether on Pay As You Go so you can’t share the data with other devices. What do the free call bundle deals cover? Presumably 0800 numbers and local rate numbers such as 0845 and 0870? Anything else? It covers all phone calls to a standard UK landline or mobile number. Broadly speaking, that’s most phone numbers beginning with 01, 02, 03 and 07 (the exceptions being Channel Islands & Isle of Man phone numbers). More information here in my guide to UK phone numbers. 0800 phone numbers are freephone so you can call them free of charge (no need to use up any of your inclusive minutes). Meanwhile, phone calls to an 084 or 087 number are charged at a premium – see my guide to special-rate phone numbers for more information. It would be useful for the list of number types and prefixes that are normally included within allowances to be detailed within this article. It’s a core part of “How it works”. Thanks for the feedback! I’ll look into how we can clarify this in the future! I am thinking of starting a community based phone offer. I actually use Asda £5 bundle myself and it does everything I need. I do have access to other facilities where needed though. My wife has EE £10 package. It is one that grows every 3 months. Over the last few years the package has grown massively so that she now has three gigs of data, unlimited texts and more than 500 mins. Anyone taking a long view can build a good package if they can find one that does this. Have you any research on packages with boosts. Many thanks for your comment! EE’s Free Boost loyalty offer is certainly very attractive if you stay on the tariff for a long amount of time. Saying that, other mobile networks offer a lot more data on their base tariff – for instance, giffgaff now offers 3GB of data for £10/month from the get-go. In practice, I find people usually have a fairly standard data requirement over time as opposed to a data requirement that steadily grows over time. For instance, if you’re using less than 500MB per month today, you’re probably still going to be using less than 500MB per month half a year on (that’s assuming of course, you weren’t artificially modifying your behaviour based on the amount of data you know you have that month). For that reason, I normally still recommend more vanilla deals without boosts, loyalty bonuses, etc. With regards to further research around this issue, I think EE’s loyalty bonuses are fairly unique and am not aware of other UK networks that have something similar? I’m in Australia and want to pay for a pre paid sim for a friend and be able to top it up each month from here. Are you aware of any cards that I can pay monthly from OZ. Many thanks for your comment. Are you going to be using a UK-registered bank card or Australian-registered bank card? If you’re using a UK card, it should be possible to choose pretty much any network that allows online top-up. If you’d like to use a non-UK registered card, only certain mobile networks will allow you to do this. My recommendation would be to get a SIM card from giffgaff as they allow you to top-up with non-UK cards and also offer international delivery. There’s some more information here in case you’re interested in learning a bit more. Yes. Go any nearest paypoint and tell them I want to top up this number. Because from paypoint you can top up to country. Have you looked at C4C mobile? They are a charity-themed company and offer 5 gig for £10 for a month on PAYG. I did try them but found that the data vanished at about 4 times the rate I expected. Their explanation was that they measure data use at 100kb increments. I could not work out what this meant in practice, except that the data vanished quickly and it felt like I was really only getting about 1250 mb, not 5000. Many thanks for the feedback about C4C Mobile! I am aware of this network, but have never tried it out or written a review about them. It’s curious that your data allowance is disappearing so much faster than normal – is this something you’ve enquired about with them? 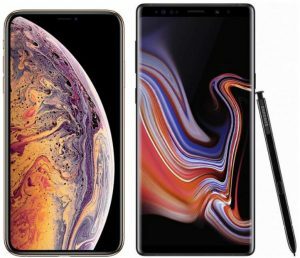 I don’t buy in to the explanation about 100KB increments as mobile phones today tend to maintain an always-on connection (as opposed to making lots of individual connections, where each one can have its data usage rounded up to the next 100KB). I have inquired and they are quite clear that 5 gig gets delivered. It must be a problem at my end although I can’t think what. C4C are a small outfit and seem to be quite genuine folk. I like the idea of 5gig for £10. But no other company comes close to that on PAYG. Unless you know of one. Thanks for this great info. 2 more questions – are the bundles able to be used across Europe and can we get a SIM card from Heathrow during our stop over? Many thanks for your comment. Yes, the bundles can be used in most other European countries – see my in-depth guide here for more information. For most people visiting the UK & Europe, my recommendation would probably be to get a SIM card from giffgaff (see the article here for more information). You can get a SIM card from many mobile networks at Heathrow, but I’d recommend this as you’ll typically pay well over the odds (if possible, either order a SIM card from giffgaff in advance, or wait until you get into town before buying a SIM card). Thanks for your work. Am in the UK for the whole of july. Will need to buy a sim card because my NZ sim card wont allow me to use one of these deals and using my NZ card in the UK will blow my budget away. My question is to use an Asda pre-paid bundle would I need to go into Asda to get the bundle and get a sim card from EE. Can you buy these in the Supermarket? Many thanks for your comment. You can pick up an ASDA Mobile SIM card for 50p at ASDA supermarkets. Alternatively, if you’re not too fussy about which mobile network you join, most other supermarkets also stock a decent selection of SIM cards (e.g. from EE, O2, Three, Vodafone, etc). Expect to pay about £1 or £2 for a SIM card in-store. If you’d like to avoid the hassle and additional cost, you can also order an ASDA Mobile SIM card online to be sent in advance to your UK address. Thank you for taking the time to reply. You help is very much appreciated. Many thanks for your comment. As you say, ASDA Mobile are offering 2GB of extra free data for bundles purchased before the 27th June 2017. I’ve highlighted this in the section at the top of the page about ASDA Mobile and our other recommended bundles. Great site & analysis Ken. One thing though is not clear. Increasingly these days mobiles are being used not just for media access & communication but as a payment system for charity donation texts & ordering/paying for takeaways & uber type taxi services.Can these monetary transactions be made on PAYG bundles? 1) Charge to credit card, Apple Pay, Android Pay, iTunes, Google Play or similar. This is probably the most common type of payment (used in 99% of situations). It has nothing to do with your mobile phone operator, and you can make this payment regardless of which mobile network or tariff you use. 2) Charge to mobile phone bill (used fairly infrequently, but common for SMS charity donations). Unfortunately, this type of payment will only work on certain mobile networks (usually the big names like EE, O2, Three, Vodafone, etc). You won’t be able to use the allowances from your PAYG bundle, rather you’ll need add Pay As You Go credit to your account to pay for this. For more information, please see my guide to using up your Pay As You Go credit. Many thanks Ken for your very clear summary. Just to say ‘thank you’ for explaining things so clearly. I was puzzled about the advantages/disadvantages of monthly bundles and payg having been on a contract for so long. I now understand a lot better, and your detailed comparisons of cost have been very useful. I have no 2G service from O2 at TA9 ***, having to walk 200 yards down the road to receive a signal to send a text. Ive requested a PAC to change service provider. Giffgaff is showing good coverage but I know they operate through O2. Is there a provider that I can use that actually will provide a signal for voice calls and text in my house? Thanks for your comment (I’ve removed the last part of your postcode to protect your privacy). As you mentioned in your comment, giffgaff uses O2 as their network coverage provider. For this reason, changing from O2 to giffgaff will not solve your coverage problems. For more information about the different network coverage providers, I recommend having a look at my in-depth article here. There’s a section on how you can assess mobile phone coverage on different mobile networks, with it possibly being worthwhile to order a bunch of free Pay As You Go SIM cards from each mobile network to test the coverage in your area. I have only just found your site and have not read all the information. I spend about eight months of the year abroad and we are fed up with paying £50/month for BT broadband, telephone, line rental and unlimited calls. We are thinking of maybe switching to pay as you go mobiles but have a few concerns. Cancellation due to non-use, linking to laptops and iPads, using an air printer which currently runs off the wifi. One of us has an iPhone and one does not have a smart phone. Can you recommend how we should proceed with this? Normally our four months in the U.K. is split into two periods of about two months each with occasional visits in between for a few days. Thanks for your comment. It sounds like Pay As You Go could certainly be suitable for your usage. With regards to credit expiry and automatic cancellation due to non-use, I’ve got an in-depth article here discussing it in more detail (the short answer is you’ll probably be fine as long as you use your SIM card once every 6 months). With regards to cancelling your home broadband, obviously there are lots of things to consider (e.g. perhaps if you wanted to watch iPlayer or other video-on-demand services when you’re back in the UK). However, you might be able to get away with Pay As You Go mobile broadband (it really depends on how much data you’d use each month). Finally, with regards to your printer that runs off the wi-fi, this probably would continue to work even if you cancelled the broadband service. You’ll still be able to use the wi-fi network for your devices to talk to each other (it’s just they won’t have access to anything on the internet). First time visitor to your website – looks awesome! I live in Melbourne, Australia these days but I’m able to get back to the UK 2-3 times a year, during which time I pop my Vodafone PAYG SIM back into my iPhone 4. Vodafone have been abysmal (even by their standards!) and I ended up spending something like 60GBP on top ups over a 7-week period plus life-draining phone conversations/inaccurate texts/premature credit expirey… I also have to give them a token 10GBP top up every couple of months in order to keep the number I have had for 20 years (Originally Orange then O2 and Vodafone. I do like the look of the ASDA deal and have made a note of your advice about obtaining a PAC code, which I have done previously but not for a while. 2) How much inactivity would ASDA allow before running the risk of losing my number? 3) (I’m no doubt being thick here but…) Which SIM would I ask for on the ASDA website – Pay As You Go or Free SIM card? 1) Yes, you’ll need to wait until you’re in the UK before you’re able to change over to ASDA Mobile. This is because the ASDA Mobile SIM card will only be sent to UK addresses. It should also be activated whilst you’re in the UK. In theory, you can probably side-step this by asking a friend or family member to do it for you, but for simplicity, I’d probably wait until you’re back! 2) On ASDA Mobile, your phone number will only be deleted after 360 days of inactivity on the account. Your credit, however, will be lost after 270 days of inactivity. For more information, please see my guide on Pay As You Go inactivity periods. 3) You can order the SIM card you’re looking for via this link. John get a Tello payg sim – you can use the Tello app for Wifi Calling anywhere in the world and never run up a roaming bill as you can only roam outside the UK using the app, runs on 3UK. You can also jump between payg and bundles as needed. I’m coming to Luton airport in 2 weeks. Does anybody know if in this particular airport I can find a place where I can buy a prepaid SIM card? Thanks for your comment. I’m not sure specifically about places in Luton Airport but I guess there probably should be as this is a fairly common purchase at airport arrival halls. If possible, however, I would probably recommend against buying a SIM card at the airport. You’ll probably find it overpriced compared to other locations – you could get the same SIM card in town for a lot less (often free or just £1 from the local phone shop or supermarket). Alternatively, you can order a free SIM card online and have it sent to your hotel. I’ll be in UK for 2 weeks and I plan on bringing just a mobile phone and purchase a sim with data. Is my understanding correct that I can purchase the pay as you go package (this is the prepaid one, no monthly payment)? What’s the best deal to buy for a 2 week heavy data user stay? That’s right – you can easily pick up a Pay As You Go SIM card whilst you’re in the UK. For a two-week trip, I’d probably suggest one of the bundles here (you’ll get about 1GB of data for £10/month). If you’re going to use more than that, you could also look at the £15 bundles offering 4GB of data. You can buy a Pay As You Go SIM card from most newsagents, supermarkets and phone shops. If you’re buying in store, you’ll probably need to stick to one of the major mobile networks (so either EE, O2, Three or Vodafone). If you want a bit of choice, you’ll need to order a free SIM card online (the SIM card can only be dispatched to a UK address, however). would you advice using BT mobile because they are very generous in terms of internet? Yes – I think BT Mobile is a good network, particularly so if you’re a BT Broadband customer. You can read more about it here on my review. One thing to note however is that they don’t offer a Pay As You Go deal (BT Mobile is only available on a Pay Monthly contract). Thank you for all this useful information! We are living in the UK & are currently on Three as we often go to Switzerland Greece Italy etc & can use the phone services there for no extra cost. Our main use is data, although we use a little call time & text the bulk is internet use, iMessage & facetime-video or audio. We are on pay as you go as we own our handsets & are wary of enormous suprise bills! Three has been working well for us until yesterday when we discovered we could no longer use tethering. (When we phoned Three they explained we had had tethering by accident, but it was not available for pay as you go customers). We use tethering for a child to play Pokemon Go(!) so are reluctant to get a third sim just for this but happy to do it if it makes sense. Do you have any pearls of wisdome? We would be happy on a sim only contract if we could gaurentee no extra unexpected costs, but are really looking for cheap data on pay as you go. 1. You could switch to another Pay As You Go network that does allow tethering. I’d recommend ASDA Mobile as a great alternative (coverage comes from EE & you’re able to tether). 2. You could switch to one of Three’s Pay Monthly SIM cards. You’ll need an Advanced plan if you want Feel At Home & the ability to tether. You can use their spend control feature which should help to avoid unexpected bills. I’d also recommend using the settings on your phone to place a limit on your data usage, alternatively you could get a tariff with all-you-can-eat data. Looking for the best sim card for a 2 month trip. one month England and the other month france/holland/germany/Chez republic. Pre pay would be simplist. any suggestions? You can use the above information for choosing a SIM card in the UK. It may also be useful to read my guide on using a smartphone in Europe – it covers the cost of roaming on a UK SIM card & the special deals that are currently available. Thanks for the useful articles. My wife and I use Vodafone at present.. but find them frustrating , as with many networks they have too many rules and exceptions etc. I use payg and only use about £10 every 3 or 4 months, my wife uses about £10 every 6 to 8 weeks. Looking to change to cheapest, simple / easy network with low cost per month and if possible cheap charges in New Zealand and Turkey ( where we often go for a month or two each year). What do you suggest? Thanks for your comment. Unfortunately, there isn’t a simple answer to the question! The article above discusses the best deal for regular mobile users: the cheapest deals starting at about £5/month. Are you happy to consider a bundle? Based on your typical spend at the moment, I’m guessing you’re probably on traditional Pay As You Go? An obvious and quick saving is signing up with a low-cost network like ASDA Mobile (they charge 8p/minute, 4p/text and 5p/MB). Coverage is from EE, there’s a good inactivity policy and no restrictions on tethering like Vodafone PAYG. If we start looking at deals that provide cheap roaming in New Zealand and Turkey, this hugely limits the number of deals available. Three gives you cheap roaming in New Zealand but you’ll need to buy an All-in-One bundle (minimum £10/month). For Turkey, I believe O2 has a £3.99/day O2 Travel deal but this isn’t exactly cheap if you’re spending an entire month there! I will stay in UK for a few months as an exchange student in the coming Sept this year, will the “pay as you go” plan you mentioned also be applicable to me. Do I need a UK credit card? Do I need to remove the content lock as mentioned in some other websites? 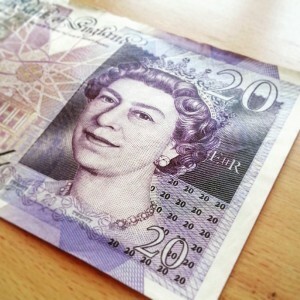 Yes – Pay As You Go will be perfect your usage as there’s no need for a credit check for the UK. There’s also no need to have a UK credit card – you can top up with cash, voucher, etc. For more information on topping up your phone, please see my in-depth article on this article. By default, all UK mobile networks are legally obliged to block adult content on their service. You can remove these restrictions by verifying your age (e.g. by providing them with a document to prove you’re over 18). My query is this, I have a basic mobile, nothing fancy, no internet, very simple use. I use it in the UK & Europe. I currently use a £10 bundle each month with O2. Which provider would you suggest to be the most economical ? Thanks for your marvellous website, it’s invaluable ! Thanks for your comment. Many of the bundles mentioned above could potentially work for your usage – do you know how many minutes & texts you typically use each month? I’d possibly suggest getting ASDA Mobile’s £5 Talk and Text pack. This will give you 200 minutes and 2000 texts for £5/month (you can order a free ASDA Mobile SIM card here). For roaming inside the EU, you’ll pay 8p/minute and 4p/text. For more information, you could also see my article on roaming in the Europe (there are some alternative deals there that could work out better value if you spend a lot of time in Europe). Thanks for sharing this information – it’s super useful! I’ll try to update this article over the coming weeks as TPO moves over to their new 4G service. After reviewing your excellent breakdown of different bundles here, I decided to get an EE SIM with the intention of purchasing the £15 Data Pack once it arrived. I ordered their free SIM (and selected the £1 Talk&Text 7-day pack with plans to change it later). However when the SIM arrived and I tried to change my pack I found that the £15 Data Pack wasn’t available for purchase. Instead, the only Data pack offered on the ‘MyEE’ online page was their most basic £1, 7-day Data Pack. After doing some reading on the EE community support forums, it appears some people are suggesting the only way to access the £15 Data Pack with 250 mins, Unlimited texts and 4GB of data over 30-days is to purchase a pre-loaded SIM with that Pack selected. Do you think this might be the case? I can’t quite wrap my head around why a specific, pre-loaded SIM would be necessary in order to access that particular pay as you go pack. If this is indeed the case then will I need to reorder a second EE SIM and transfer my number to that SIM all just to get access to this specific £15 Data Pack? Update: I phoned EE customer services to see if they could help me out and clarify the situation. 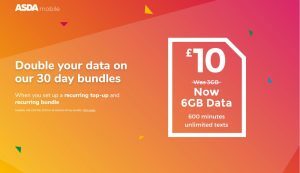 They confirmed that the £15 Data Pack that offers 250 minutes, unlimited texts and 4GB of data over 30 days is only available if you purchase that specific pack when ordering the SIM card. So if anyone is planning, as I was, to order a free SIM with the intention of later upgrading their pack to the £15 Data Pack then be aware that this isn’t a possibility. There is no option to upgrade to that specific pack; you need to know in advance of ordering your SIM that you want it. The representative I spoke to informed me that it wasn’t possible to swap me to that pack on my current EE SIM and neither was it possible for me to keep my current number and jump to the £15 Data Pack SIM. At this point if I want to get the £15 Data Pack AND keep my current number I would need to port my number to a completely different service provider and then port it back to the £15 Data Pack SIM with EE. As far as I can see, there is nothing on the EE website which makes it clear that the 4GB £15 Data Pack is exclusive in that it needs to be selected (and paid for) in advance i.e you cannot upgrade to it. It’s a shame really because if I had known this I would have ordered the correct SIM in the first place. At the moment my plan is to pick up a GiffGaff SIM card because they’re offering a slightly better deal for the same price. Thanks for your comment. Unfortunately, this is the first I’ve heard of about restrictions on buying the £15 Data Pack. As you say, it doesn’t seem particularly logical for them to do this (I wonder if they might be trying to discourage existing Everything Pack customers to move to a cheaper Data Pack). I suspect a phone call to EE Customer Services and an escalation to the manager will do the job as there’s clearly no technical reason why they can’t move you over. You can also order a new SIM card from EE, but this will come with the added hassle of you having to move your number over. really great site and you have put a lot of effort into it to maintain it, with a wide range of topics. I am currently looking at using a Pay As You Go Bundle with Giff Gaff. From reading your articles and responses on overseas calling and SMS to New Zealand, it looks like Giffgaff is the best option both for calls to NZ, and a very good option after ASDA for PAYG Bundles. However, from reading your article on calling overseas, I noted the overseas rates apply to Pay as You go customers, not necessarily Pay as You Go Bundle customers. I assume it would be hard for the system to calculate overseas calls on on PAYG Bundles which provide a limit in minutes in a Bundle, whereas overseas calls are charged in pence/ minute which might be different from the standard on which the Bundle limit is calculated. Just wanted to confirm my logic is correct here and if you have any other suggestions. I will need to make both calls and send SMS to NZ, in the UK and also to continental Europe. Happy Easter and thanks for your comment! On both giffgaff and ASDA Mobile, you’ll be charged the same amount for international phone call regardless of whether you have a bundle on your account. So on giffgaff, it’s always 6p/minute to call NZ mobiles and 2p/minute to call NZ landlines. If you like, you can choose to buy a goodybag to cover your UK usage, and this won’t affect the rates you pay for calling NZ. You can find out more and order a free giffgaff SIM card here. Thanks for your comment. You can see a full comparison of ‘traditional’ Pay As You Go tariffs here. It’ll show you the cost of calling and texting – also which network you get coverage from. With the tariffs mentioned on that page, there’s no regular monthly commitment. Also, your credit doesn’t expire providing you keep the SIM card active. In general, I find a large number of MbS customers have moved over to ASDA Mobile (like Sainsbury’s, ASDA also charge 8p/minute and 4p/text). There’s more information here on the best alternatives to Mobile by Sainsbury’s. Thank you for the thorough write-up on the PAYG Bundles. I am going to London by February 2016 but my sister will return to Malaysia for her Christmas break this year. Since a foreigner cant order a sim card online, is it possible for my sister to order two free sim cards and deliver to me by Christmas while I will only top up the value or the pay as you go bundle by February next year? Thanks for your comment. Yes, your sister can indeed order the SIM cards to her UK address and then she can bring you the SIM cards during Christmas 🙂 In the UK, SIM cards aren’t registered to a person so there’s definitely no issue in doing this. With regards to using the phone in February and only topping it up then, this also won’t be an issue (the only thing I’d really watch out for is the SIM card expiring if you don’t use it for 6 months). I’d probably recommend getting a SIM card from giffgaff or ASDA Mobile. Is it true that giffgaff £7.50 bundle have 2G and 3G coverage only? “4G isn’t available on any bundles for less than £10/month”. According to giffgaff website I can see: “Our new goodybags are rolling monthly SIM-only deals that include 4G data as standard at no extra cost” or More info on pricing is showing: “We now offer 4G as standard. Great news. Our new great value goodybags now include 4G as standard at no extra cost”. Any advice or comments? Thanks in advance. Thanks for the heads up about this – the £5 and £7.50 goodybags from giffgaff do now include 4G internet at no extra charge. Apologies for the error above: I accidentally left this in from an older version of the article before the goodybag changes in September 2015. Will get this amended right away. Hi check the internet for comments about giffgaff speeds if data is important for you. I was with giffgaff for a month and 3g and 4g data speeds were 0.4 mbps or lower consistently. Lots of complaints about this on the net and giffgaff community. With traditional pay as you go, although a phone call of a few minutes could deplete the credit balance, it would be worthwhile to buy an add on beforehand to get the extra minutes before making the call. Check out the Post Office PAYG bundles starting with the £5 bundle that includes 250 minutes, 3000 texts and 500 Mb of data. Hi, I use a dongle, currently from 3, to attach my computer to the net – no voice or text. Seems 3 are changing their tarriff – anyone got any suggestions for an alternative method of connecting to the net as 3 say their All-in-One 20 may stop connecting at any time without warning. Three just made a change. Their All-in-one 15 bundle just changed to all-in-one 20. 33% price hike for no change to the deal. Hi thanks for the info, and forgive me if this question has been asked before. Do know if any of the PAYG allow tethering so I can use my iPad from my iPhone. Also do you know how I can check coverage for my postcode? I am coming to UK from Australia with an unlocked iPhone. Giffgaff seems a good deal. Cheers Dot! In case it’s of interest, I’ve also just posted up a full guide to the tethering policy on UK networks. You’re not supposed to tether on any of those networks. You’re ABLE to, but that is different than being allowed to. Do it enough times and they will block your data. I just wanted to say thank you so much for this article. It is exactly what I was looking for, as my wife is in England now, while I am still in Australia, and she had no idea which sort of card to get for her iPhone. Most of the stuff on the web has either too little comprehensive information or some sort of vested interest in what you pick, whereas yours appears to be a comprehensive and very useful guide. There is a complicating factor which I hadn’t considered before. In looking to get a Giffgaff card for my wife, it looks as if the only way to buy a bundle is online with a credit card, and it seems that they only accept UK credit cards. Do you know any way around this? Thanks for the kind feedback on the article! As you say, I believe giffgaff will only accept a UK-issued credit card. However, some people do report being able to use an internationally-issued card. If you aren’t able to top up with your credit card, it’s still possible to top-up with a voucher. You can buy a voucher at most supermarkets and phone stores – see this page for more information. If you aren’t able to find a giffgaff voucher, it’s fine to also use a top-up voucher from O2. Thanks for such an informative article explaining the difference between credits and allowances. I think I finally get it! I’ve just come off an online chat with an O2 reresentative, who was not able to explain it at all and confused the hell out of me. After doing some research, I’ve decided to go with Tesco mobile because they have separate bundles for data, texts and calls. As I will be using my new phone mainly for internet browsing, I was not at all interested in the bundles that included calls and texts. I can use my regular credits for the occassional texts/calls I might make. For just £5.00 Tesco offers 500MB data, which will be plenty for me to start with as I will be using WiFi most of the time. Plus, there’s no extra cost for using 4G networks! Just throughing this in the hat as an option for those who are light users like me. Thanks again for such a great article – I’ve bookmarked it! I’m coming to the UK for 6 weeks with 18 days of that touring the Netherlands/Germany/Switzerland/Austria/Italy/France. I am wanting to purchase a prepaid SIM in London that will allow me to make the odd call and send the odd text in the UK to UK mobiles. BUT more importantly, I want to be able to text New Zealand from the UK and the EU countries I am visiting and also access about 1 GB of p/m in the UK and all EU places I am visiting. I have been looking at different UK providers for a bundle and price that will do this but it is very confusing. 1. Comparison of the best value SIM cards for travelling in Europe. Three is best for visiting Switzerland, Austria, Italy and France… O2 is better for the Netherlands and Germany. 2. Comparison of best value SIM cards for calling abroad. giffgaff is best at 6p/minute to NZ mobiles, 2p/minute to NZ landlines and 8p/message for texts to NZ. You’ll have to balance the pros and cons of each network depending on how long you plan to spend abroad, how many international phone calls you plan to make, etc. Hope this gives you a good starting point for your research! ….greatly appreciate your reply and information. This has given me something to ponder. Amazing though that a text to NZ costs more than 1 minute of calling. That doesn’t makes sense… but then the entire mobile phone industry doesn’t make sense when you look at charges by country, especially if it is a developing country where you get a lot more for less when compared with a First World country. It is indeed very bizarre! 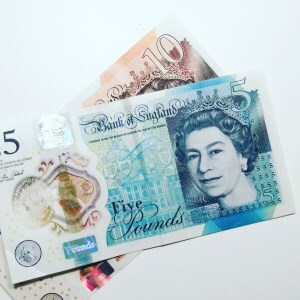 Mobile pricing in the UK is definitely far from logical… on certain networks, it’s also cheaper to call another country than it is to call within the UK. Add to that – another weird example… the cost of calling when you’re abroad in Europe. As soon as you use your handset outside the UK, UK networks are bound by EU legislation on the maximum amount they can charge for calling & texting. This means, for example, if you’re using your handset in France it’ll cost 18.8p/minute to call to the UK and 5.9p to send a text to the UK. Meanwhile, if you’re physically located within the UK, many networks charge a lot more e.g. 35p/minute and 14p/text. With regards to your comment about texts to NZ, most mobile networks have a flat rate for international texting – it’ll cost the same amount whichever country you’re texting. This probably explains why it’s often more expensive than a minute of calling – still incredibly bizarre though! Hi Ken my husband need a phone for a day is it possible just to purchase a cheap phone and buy a bundle for the month? If so what do we need do? Thanks for your comment. It would indeed be possible to do this – in fact, some networks will sell you an incredibly cheap handset when you also top-up by £10 at the same time. I recommend having a look at EE Pay As You Go – you can get an Alcatel 10.10 for £2.49 or a range of Nokia featurephones also from £2.49. Hi, I purchased a sim free iphone 5s online for my daughter, she put her giffgaff sim in, she has data but cant receive or make calls or txt messages, have checked she has the right settings etc but still wont work, have been online and have tried many different troubleshooting tips yet still no joy, would be very grateful if you have a suggestions to resolve this problem. Thanks for your comment. This is a rarely odd situation: normally it’s the calling and texting which will work without issue (getting data to work often requires you to do a bit of extra work such as configuring APNs). Could you kindly double-check that you’re actually using data via giffgaff (i.e. check if the data is only working because you’re connected to wi-fi). If data is indeed working on 3G via giffgaff, then I’m not really sure what is currently happening (it might be worth taking the phone to your local Apple store so they’re able to check). hi there! has anyone tried Vectone?? i am thinking to change my provider… any suggestion would be much appreciated!! thx!!! I have purchased a samsung mini GT-S5570 on eBay, it is locked to Tesco and I can’t unlock it for free with Tesco because I don’t have the mobile number. Is there any other way I can unlock it for free or for a small charge? Have you tried ordering a free SIM card from the Tesco Mobile website? It should be possible to use that SIM card in order to unlock your handset. There’s a £20 charge to unlock your handset if you’ve had the SIM card for less than 12 months. Vectone has a monthly £3.50 deal with 100 minutes, 100 sms’s and 50 megabyte data. I haven’t seen anything beating that yet! Vectone are now doing £12.00 500 mins, unlimited text and unlimited data – which is by far the best deal! Now that Asda is running on the EE network, can I use my new Asda EE sim in an orange/EE phone or can it only be used in an Asda Phone? You CAN use new asda sim with ee/orange/tmobile locked handsets – I do. I got a basic samsung last year on orange with phone fund but it also takes asda, ee,people’s operator,talkhomemobile, tmobile,virgin & white – it’s cos they all run on EE network.